Say hello to our new pet... the Helix! Again, we thanks our awesome artist, Kat for this amazing pet. With the new Helix comes a new beanie! Also, Daylight Pets has gone flash! :O Check out the new flash game, 'Catch a Falling Star' on the Games page! Also, if you've been wondering why it's been a bit quiet around here, it's because we've been hard at work coding something we hope you'll love! We have some brand new avatars for you to collect! All thanks to our new avatar artist, Straypup! Been wondering why you haven't been receiving any trophies for collecting beanies? Well, it's because there was a little mishap with the coding! But now, (I've tested it on two accounts anyway) they should work! The Writing Contest is now on! Awesome prizes to be won. Also, don't forget to check out Zin's Design Contest for some more awesome prizes! All users who currently own 7 pets, please can you message Joe or post on here to let us know which pet you'd like to get rid of so that everyone has a maximum of 6 pets! If you don't post within 2 days, I will delete the lowest levelled pet on your profile, sorry for the inconvenience, a fault in the coding. However, you may get a free avatar as compensation! 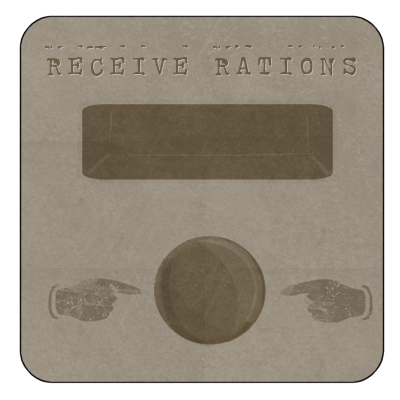 There is a new ration available, head on over to Settlement One to claim it! Callie has gone for a short break to try and recover from her illness. But she has sent us this lovely postcard... not quite sure of where it is though? "Dear friends, Sorry I haven't been around to help you earn money from my quests, I've been feeling terribly unwell. 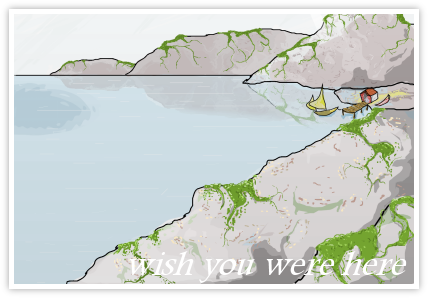 So I decided to go for a little travel and found a cute little rocky island on Cruithne! What are the chances?! I'll try help show you all where it is when I get back. Starting to feel a bit better now. There's all sorts of strange creatures around here, very interesting place. Hello, this is your friendly admin Zin reminding everyone that the Design Contest ends on September 1. Any and all entries are appreciated and have a chance to win, so why not enter today?